（‐＾▽＾‐） Wow the time flies and we are very close to Halloween~ how many of you know I´m a huge fan of books~ And the Little red Riding Hood was one the first stories that I read when I was just a child and since that time was one of my favorites. And of course I love it when I had the opportunity for dress the full costume of this character. 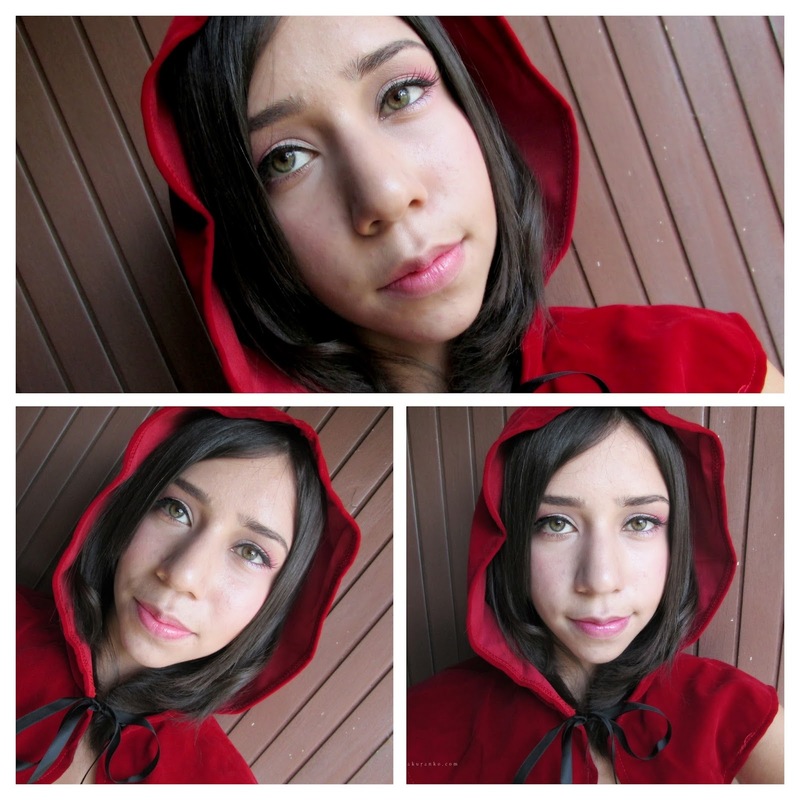 I was thinking to make the makeup tutorial for Red Riding Hood since January when I take the photos with the full costume and I did my post Red Riding Hood. There I had my hair very long and pretty but and this makeup tutorial my hair is short and my face is better because when I did the post with the full costume I still was recovering from the small surgery. "Don't forget to watch in HD for a better quality!" My halogen light was good because I needed more light but the rainy day was a sH*t.
You look so cute dear!! Love the costume,it looks great on you! Super cute costume and makeup! What camera do you use? I dressed up as Little Red Riding Hood last Halloween! You look gorgeous in your costume! You look so cute)) Great costume! Such a cute look! I love your costume...it is lovely. Thanks for the tutorial. You look great as little red riding hood. Look so cute. I love it. Love this- little red riding hood is the best idea. Love this look! I never thought of being Red Riding Hood, but I love the costume! Great makeup look! Omg that is such a beautiful costume!! And the makeup is gorgeous too! I love your vlog. perfect make up. Great blog you have, stay inspired! this look turned out well!